A 1952 recording of J.R.R. 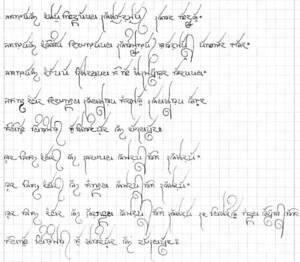 Tolkien reading Namárië, an Elvish language poem that appeared in The Fellowship of the Ring. Posted in Misc and tagged . poem, LOTR at 4:31 pm on September 10, 2012 by Broadsheet.